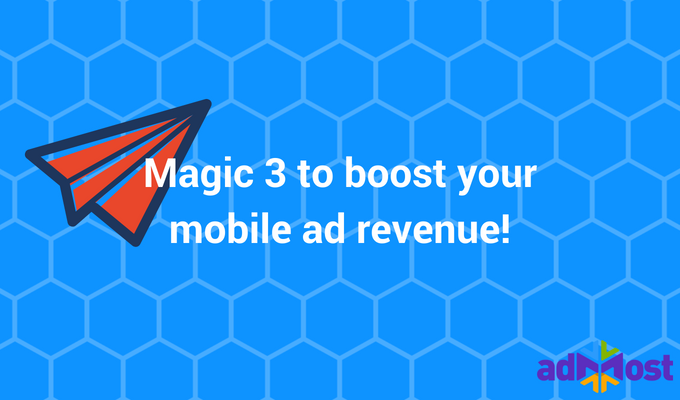 What makes Admost different among other mobile ad mediations in 3 clause? 1) Admost Mediation Router is an independent mobile ad mediation tool; does not have owned inventory to serve, just works as a router to serve best yielding ad networks in order. Being an ad network and having a mediation system causes conflict of interest and a detrimental effect in revenue returns. Admost Mediation is a friendly tool between ad networks and publishers. 2) Admost Mediation counts all impression and calculates eCPM values on its own database. As each ad network’s calculations may vary in different way, the waterfall in AMR is much more accurate than other systems. 3) Admost Mediation aims to get maximum benefit from each ad network that tries to distribute the traffic to all ad networks in order of efficiency to create the diversity of the ads per user. The variety helps to increase the conversion and quality of the ads which increase the revenue in the end.